Warner Books (NY), 9780446693622, 298pp. 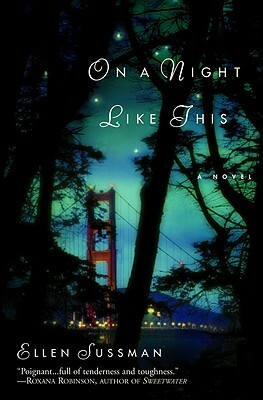 - On a Night Like This was published in Warner hardcover (0-446-53141-3) in 2/04, an excerpt of which was published in the San Francisco Chronicle. It received early accolades from such notable authors as Pam Houston, Lalita Tademy, Amanda Eyre Ward, and Katherine Weber. - Ellen Sussman imbues this heartbreaking tale with the same emotional intensity as Anita Shreve's Sea Glass (Little, Brown and Company, 4/02), Elizabeth Berg's Open House (Ballantine, 2001), and Sue Miller's While I Was Gone (Ballantine, 1999). - On a Night Like This is the kind of timeless love story and commercial novel that will appeal to audiences in the trade paperback format. - Ellen Sussman is the winner of short story contests in both Redbook and Paris Transcontinental. - Available as a Time Warner AudioBook.